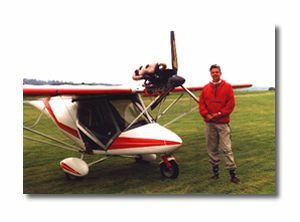 Richard Vermij established Richard's Aviation Course, RAC. He is a qualified teacher in the Netherlands. At the moment he is a teacher in the subject of aviation at a training school for flight attendants. The aim of his course RAC is providing people in the airline industry with important information about the industry. The airline industry is in a highly competitive world and a fast changing one. He sees many airlines going into alliances to expand their routes and creating more connections. On the other hand operators may save money by working together, airlines will survive by working together. This part is specially for the U.S.A.
A quality service for the future depends on the know-how of people who work in the airline industry. Quality in aviation starts with RAC Aviation Course. 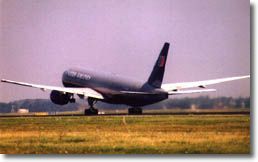 General presentations are given about various subjects in aviation, but links are made to the different parts of aviation. Richard Vermij has great experience in the airline industry. He is known at Dutch companies, such as Royal Schiphol Group, Dutch Air Traffic Control, Dutch Telecom and others. RAC has various objectives, but the most important one is as follows: RAC is built on the premise that people who are working in aviation, or are going to work in aviation, should be informed and trained about various aspects of the aviation industry. People who have just started to work in aviation are a good example: as a result of training their knowledge of aviation can be improved and therefore they become a useful addition to a company. People who work in an airline-company or organization together form a team. These people form an important factor in the quality of service of an organization. RAC will provide information that could be useful for airline related companies resulting in an improvement in the performance of an organization in the airline industry. Motivated and well-informed workers will make a success of an organization. Airport managers, Airlines, Tour operators, Airline Organizations, Airplane manufacturers and Air Traffic Managers in the U.S.A.
All courses are in Power Point. Of course there is also the possibility of American companies and other English speaking companies to chose subjects out of the regular courses. (See Business Aviation Course). Some of the words, modelnames, trademarks and designs named at this website will stay the property of the trademark owner. Names and designs are mentioned with only the purpose of recognition/ identification. RAC All rights reserved © 2000 - 2018.